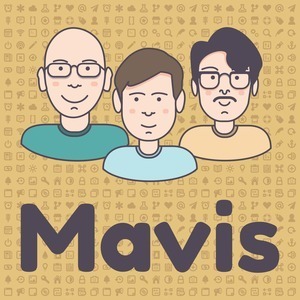 We found 10 episodes of Mavis with the tag “mavispodcast”. Andrew experiences High Sierra’s & Mojave’s Window Server bugs and Microsoft’s Andromeda device was featured on The Verge & Mac Rumours. Jules’ currently performing his summer review in which he has made some interesting changes to his devices! We also discuss how the Read Later problem is not solved yet. We now know Siri Shortcuts is better than Workflow! Jordan has a new phone, Andrews is scratched to hell. After Andrews Theme of the Year wasn’t going so well, and had to be adjusted, he’s turned it around and made some changes, including a migration to OmniFocus and major changes in “The System”. Following the finale of Star Trek Discovery, Jordan & Julian talk Star Trek. All of Star Trek. Andrew receives his ErgoDox EZ and can no longer compute. Julian takes the iPhone onboard as a device in his life, but has a few more itches to scratch alongside a realisation. Julian also got a Surface Book 2, we discuss how Windows power management, the USB-C life and new iPads with Face ID. Finally, a chat about our favourite podcasts and when we listen to them, with a public announcement and a special after show clip. Excusing the tricky recording for the first 7 minutes, we discuss last weeks Spectre and Meltdown vulnerabilities, universal apps on iOS, what this means for Apple’s platforms and some further Andromeda renders. Rounding out the episode with a discussion on authority-Twitter-accounts trying to meme.